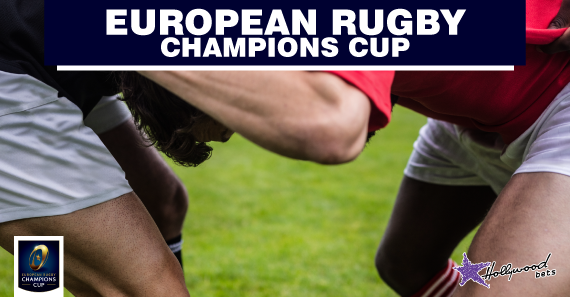 The European Rugby Champions Cup will get underway on the weekend of October the 12th. Darry Worthington takes a look at Pool 4 below. Pool 4 of the 2018/19 European Champions Cup looks a real competitive one with all four sides in with a realistic chance of claiming one of the knock-out phase qualifying berths. French giants, Racing 92, are favourites to top the pool but will face stiff competition from Ulster, who have enjoyed a solid start to their PRO14 campaign. This looks to be one of the most, if not the most, open pools in the tournament. All four sides have a chance of topping this group despite Racing heading into the opening round as strong favourites to do so. Yes, the French giants do have a very strong squad but they are not the best travellers in Europe and places like Parc Y Scarlets, Welford Road, and the Kingspan are not easy places to visit. Ulster are likely to provide the stiffest challenge to Racing with the Irish Province enjoying a fast start to the 2018/19 PRO14 season. They also aren't the world's greatest travellers, however, which is bad news for their fans considering their final fixture of the round robin is away against a Leicester side that they may be scrapping it out for second place with. Speaking of the English outfit, the Tigers have enjoyed a decent start to their domestic campaign and currently reside fifth on the Gallagher Premiership log. They have played some exciting rugby this year but their defence has been extremely weak. They will need to make sure this aspect of their game is up - if they are to have any chance in Europe. Like Ulster, the Scarlets have also enjoyed a magnificent start to the PRO14 season winning four of their opening six fixtures. They have some star quality in their squad as well, with Welsh international Leigh Halfpenny being an absolute world beater. I can see Racing earning quite a few bonus point wins at home which should see them claim top spot. It will be interesting to see who takes second as the other teams are very evenly matched. If I had to go out on a limb, I'd say Scarlets to take second, Leicester third, and Ulster last.